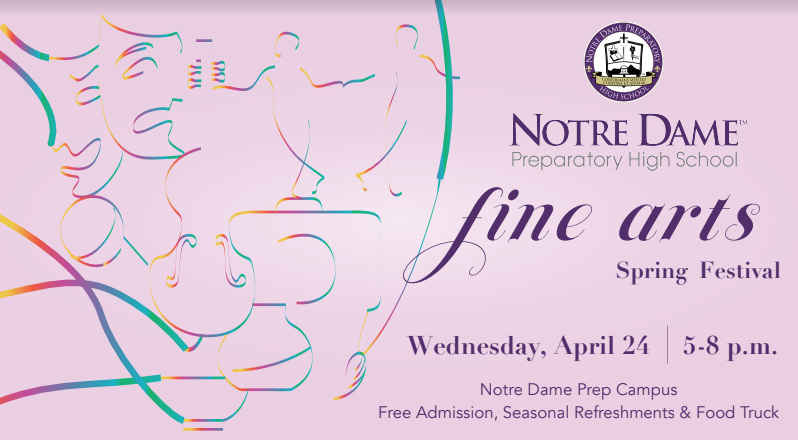 The Spring Fine Arts Festival is set for 5 p.m. on Wednesday, April 24 at various locations throughout the NPD campus. Admission is free. Enjoy performances from our choirs, drama students, guitar orchestra, jazz ensemble and our dance students. There will be an art walk featuring the visual art created by our painting, drawing, photography and pottery protégés. Floridino's Pizza Muffins food truck will be on hand for our guests to purchase refreshments. Come and enjoy an evening celebrating the arts!